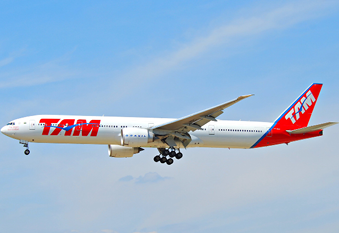 First delivered in 2004, the 777-300ER is Boeing’s best-selling 777 variant, with more than 630 airframes delivered as of March 2016. It offers 10% better fuel burn over the smaller models, whilst carrying 400 passengers almost 7,370 nautical miles. The 777-300ER is powered by GE90-115B turbofan engines, the most powerful engines manufactured, and which are only marginally smaller in diameter than the fuselage cross-section of a 737. Whilst the -300ER shares the same six-wheeled main landing gears as the -200ER and -200LR, it can be distinguished by the addition of a 5th emergency exit along the fuselage. 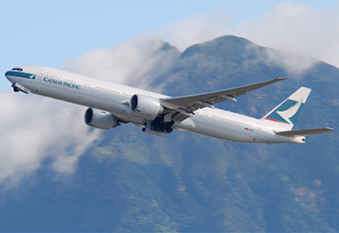 Primary operators of the 777-300ER include Emirates and Cathay Pacific.